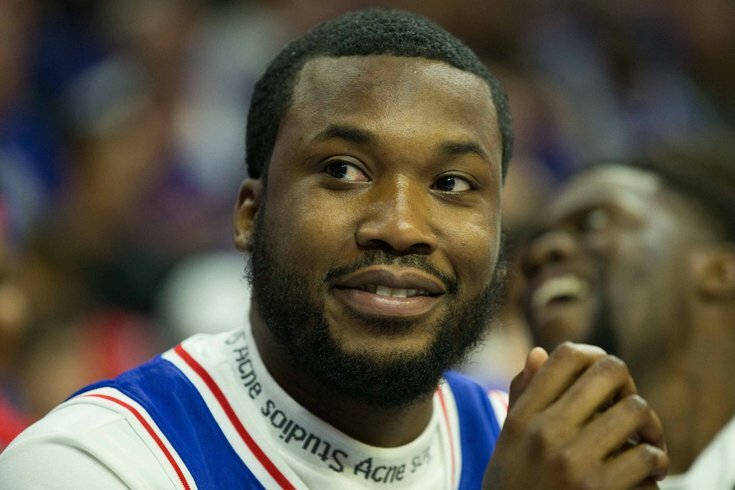 Even though Meek Mill was planning a surprise release for his fourth studio album, it won't be that much of a shock when it lands. During a criminal justice event with Marc Howard, a professor at Georgetown University, the Philly rapper spontaneously announced that his new album will be released this month. Mill's disclosure came in response to a query by an attendee during a Q&A session. When asked when his album would be released, he announced to thunderous applause, “The album is coming out this month." There's not a lot else we know about the album, however. There is a potential Cardi B and Mill collaboration in the works with producer Bangladesh. In October, the producer, known for Lil Wayne's "A Milli," released a photo on Instagram of the "Bodak Yellow" singer and Mill on a rooftop together. The caption read: "When u hear “Bangladesh” come on before the beat drop u know it’s a problem." He added, "Wait for it." In an article with Page Six, Mill discussed an upcoming song on his new album about Colin Kaepernick. The rapper mentioned the former 49ers quarterback kept in touch with him while he was incarcerated in Chester, Delaware County. The song will include the lyrics, “Back in the ’30s you would be killed if you kneeled/They won’t kill you now, they just take you out of the deal." His third album, "Wins and Losses," was released July 2017. Since then Mill released an EP, “Legends of the Summer," in July. The EP includes the single "Stay Woke" featuring Miguel and other collaborations with Swizz Beatz, PnB Rock and Jeremih. The Philly rapper has also recently collaborated with T.I. on his single, "Jefe." The upcoming LP will be his first full-length album since he was released from prison in April.